Live engineer Charles Izzo is the man responsible for what Donald Glover, a.k.a. Childish Gambino, hears in his monitors night after night. We caught up with Charles during Childish Gambino's final This Is America tour to discuss his favorite plugins to use live and his secrets for delivering superior monitor sound. “This is not a concert, this is a church,” says Donald Glover about his fifth and final tour under the alter-ego Childish Gambino. 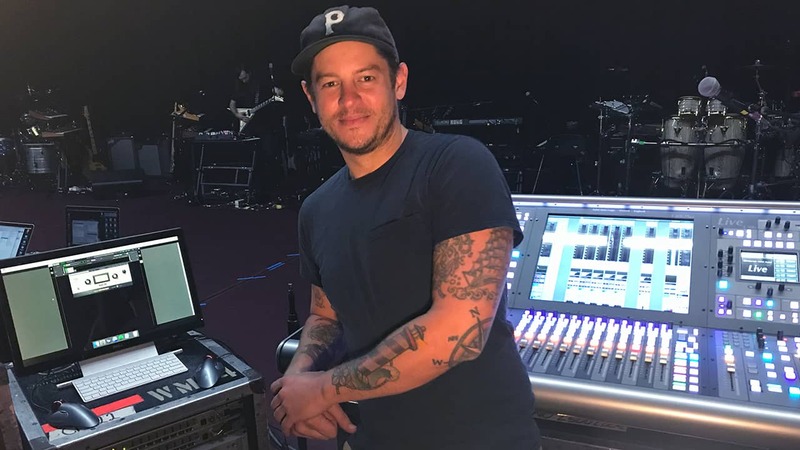 We got the chance to talk to monitor engineer Charles Izzo about his live setup and what plugins he uses to deliver superior sound to the stage for Gambino’s final experience: the This is America tour. Charles, please take us into your rig for this tour. I am using a Solid State Logic L500 console which goes into 18 mixes of Shure PSM1000 IEMs, one Clair Cohesion wedge, one Clair Cohesion drum sub, and various mixes to other departments such as show director, lighting, video departments, etc. My SoundGrid setup consists of two DiGiGrid MGB audio interfaces into a Mac Mini with a Waves SoundGrid Extreme Server. As far as analog outboard gear, I have two Empirical Labs Distressors and a Bricasti M7 Reverb unit. How do you send the mix to Childish Gambino himself? What plugins do you put on his vocals? He’s a very dynamic vocal performer, ranging from sweet, quiet ballad tones to full blast hip-hop in a matter of seconds throughout the performance. Because of that, I go first into my hardware Distressor to control the input. From the Distressor I go to a Waves C6 Multiband Compressor, which is totally essential for a performer with multiple styles, in order to fine-tune the dynamic range of each frequency band. Then, out of the C6, I go into the NLS Non-Linear Summer analog console summing plugin, to really make the vocals pop. Many songs on this tour feature a gospel choir, which isn’t easy to mic. How do you get a rich, detailed-sounding choir in the live setting? The choir is actually all on individual hand-held mics. Before I send them out to individual mixes, I run them all into a stem and use the SSL G-Master Buss Compressor to tighten them up and make them sound like a wall of voices. I also run them through the Renaissance Reverb to give them a nice big gospel sound. That’s right! He’s also a producer with his own studio so he expects superior audio quality in his ears at all times. I have always been a big fan of Waves’ emultion of the API EQ and compression, especially on drums. I use the API 560 EQ on my kick and the API 550 EQ on my snares. Also, with my L500 console, I’m able to send stem groups to monitor mixes, which allows me to use some FOH techniques such as parallel compression. With that in mind, I use the dbx 160 compressor on my drum bus, and I send that to the band members who want a little extra punch and presence in their drum monitor mix. For my drums, the InPhase plugin saves me! We have about fourteen or so open mics on percussion, all picking up the same sources from different distances. The ability to set one point as the focus and aligning all of the other mics with that – it’s such a game changer; instead of all of those inputs competing with each other, they all line up and work together as if they were a single input. How about the other instruments – bass, guitars, keys? Our bass player, Thomas Drayton, is a very dynamic player. To keep everything in control, I use the ‘Bluey’ version of the CLA-76 compressor/limiter. It keeps everything in check and at concert level. It’s so transparent, Thomas doesn’t really notice that the compression is happening. On both guitar players, I use the Renaissance Axx compressor. It’s super easy to use and just works perfectly on guitars. I also use the NLS Channel analog summing plugin on each player to warm them up and add some more analog character to them. On keys, I use Vitamin Sonic Enhancer to balance the character of each keyboard player in the mix. I also really like the way the Aphex Vintage Aural Exciter plugin sounds on a Rhodes. Doing monitors for the Childish Gambino band is a privilege. They’re all exceptional players and lovely to work with. They also have excellent ears and, rightfully, high expectations from what they get in their IEMs and stage monitors. Running all these plugins on my console through Waves MultiRack is key to fulfilling those expectations – for them and for every artist I work for, whether at FOH or at monitors. This is the way I can give them the studio-quality sound they want during the show. 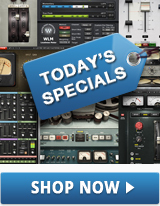 Looking to enjoy the benfits of mixing live with plugins? Check out WavesLive solutions for live sound.